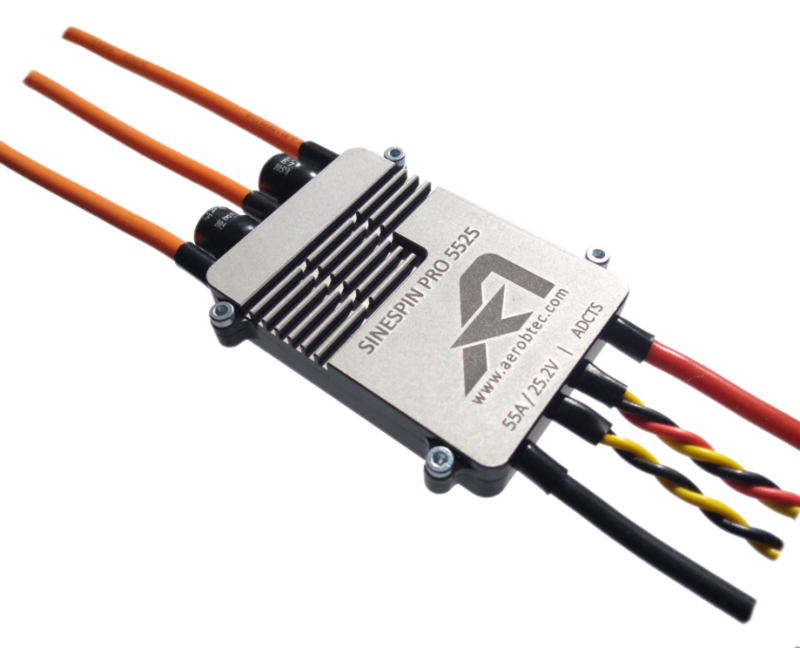 AerobTec’s SINESPIN line of drone ESCs based on advanced FOC Sinusoidal control algorithm with online on-board diagnostic and telemetry system in aluminum case with high ingress protection suitable for industrial drones for inspection, agricultural and others where efficiency and safety matters. 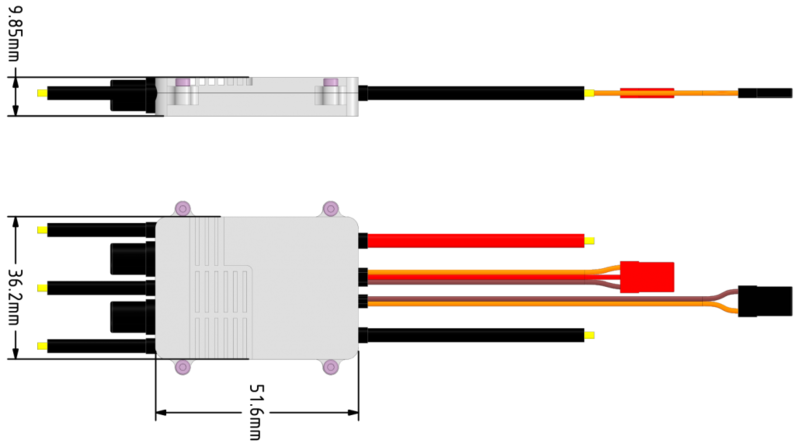 Dual opto-isolated interface for control and telemetry, UAVCAN ready trough CAN converter for up to 8 devices/converter. 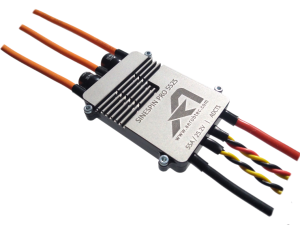 Proprietary ADB communication protocol with support for opensource autopilot stacks like Ardupilot/PX4. Pre-flight safety check and online monitoring of propulsion health status.